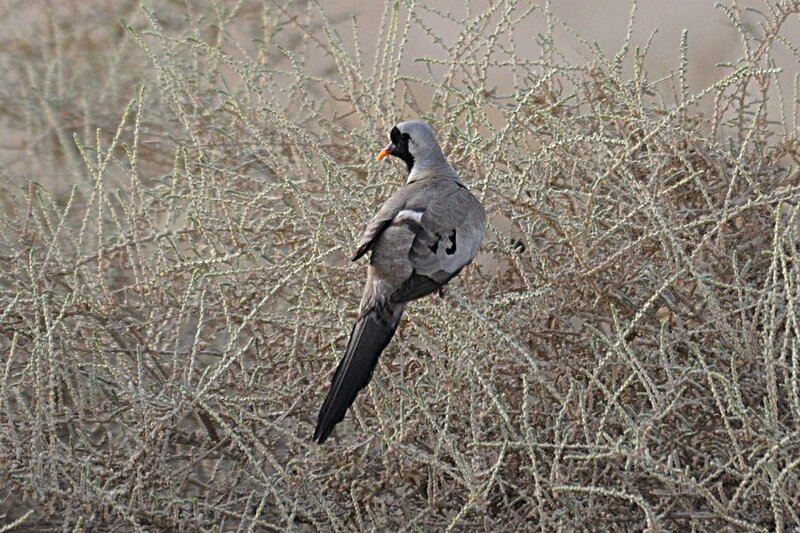 A trip around the spray fields yesterday produced the first evidence that Namaqua Doves have again bred in Dhahran Hills. I saw a recently fledged juvenile bird flying about and eventually managed to get reasonably close to the bird to take a photograph. Namaqua Dove bred last year in the same area and they are becoming more obvious in recent weeks. Most of the other doves are looking very bedraggled and hot but the Namaqua Dove always looks to be in good condition and not suffering from the hot temperatures so much. 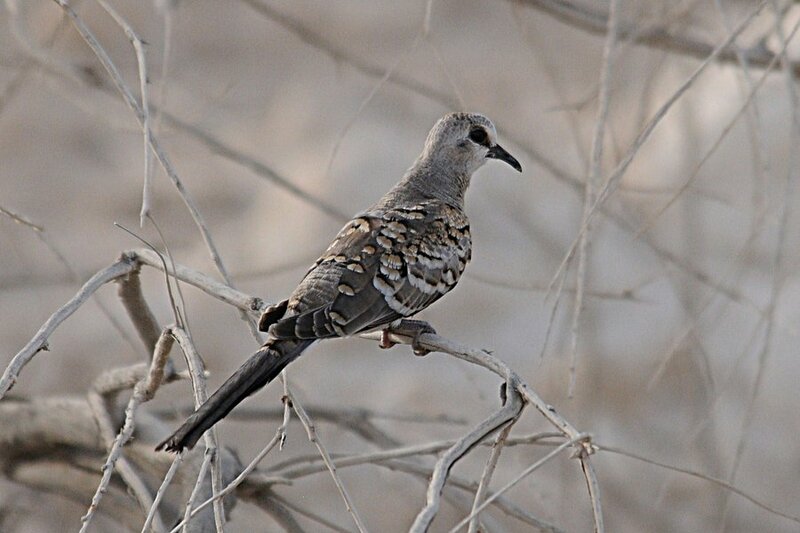 The next day I saw another juvenile Namaqua Dove, this time accompanied by an adult bird. Other birds seen whilst birding were four Little Ringed Plovers, 13 Kentish Plovers and six Black-winged Stilts on the settling pond and three Little Ringed Plovers, one Green Sandpiper and 22 Black-winged Stilts on the percolation pond. The pond also had an adult and juvenile Little Tern, two Barn Swallows and three Blue-cheeked Bee-eaters. Great photos. It is impressive how well they blend into the landscape - especially that one on the ground. Thanks. 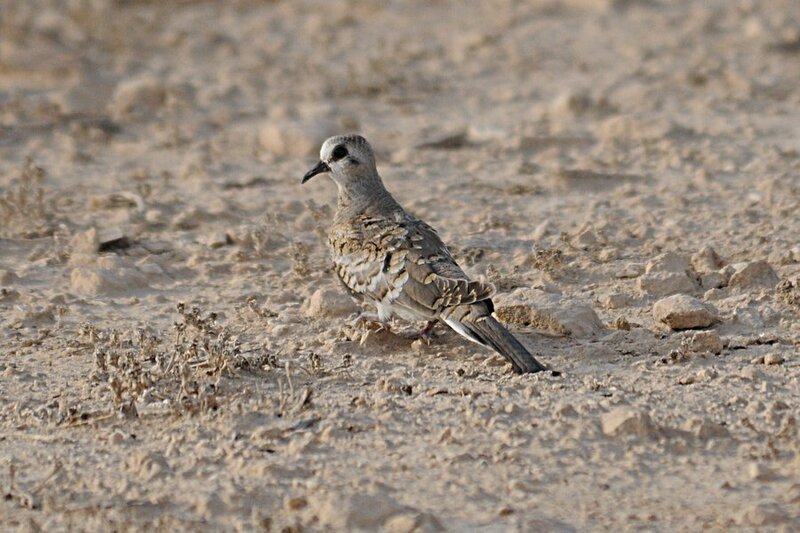 Some of the birds out here like the Cream-coloured Courser and as you said the juvenile Namaqua Dove really do blend in and often can't be seen until they move.